Amino acid therapy products are specially designed to address the cause(s) of neurotransmitter dysfunction which is implicated in many disorders, including depression, anxiety, migraines, obesity, trichotillomania, OCD, ADD/ADHD, insomnia, restless leg syndrome, fibromyalgia and Parkinson’s disease amongst others. Because guidance by a health care professional is recommended for Amino Acid Therapy — but not required — we ask that you fill out our brief questionnaire to better assess your needs. Click the button below that best applies to you, scroll down to see what products we have available. CysReplete can dramatically improve the effectiveness of amino acid products as well as aid in cases of adrenal insufficiency. 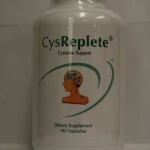 CysReplete provides cysteine to help the body produce epinephrine, maintain proper dopamine balance and provide adrenal support. This can dramatically improve the effectiveness of amino acid products (i.e., NeuroReplete, RepleteExtra, D5, D5 Extra, Mucuna Pruriens, etc. ), as well as aid in cases of adrenal insufficiency. D5 provides specific nutritional support for disorders associated with neurotransmitter imbalances, such as depression, anxiety, migraine headaches, Parkinson’s disease and obesity. 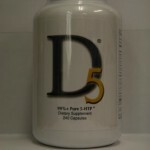 D5 provides essential amino acids and cofactor vitamins and minerals to help the body balance the catecholamine (epinephrine, norepinephrine and dopamine) and serotonin neurotransmitter systems. D5 products are identical to the NeuroReplete products with the addition of mucuna pruriens, a natural source of L-dopa, which may be useful in cases of weight loss, Restless Leg Syndrome, addictions and Parkinson’s disease. NeuroReplete provides specific nutritional support for imbalances associated with neurotransmitter imbalances, such as depression, anxiety, migraine headaches, insomnia, Parkinson’s disease and obesity. 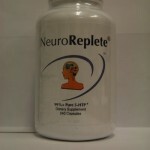 NeuroReplete provides essential amino acids and cofactor vitamins and minerals to help the body balance the catecholamine (epinephrine, norepinephrine and dopamine) and serotonin neurotransmitter systems. D5 Mucuna 40% contains Mucuna pruriens which contains a natural form of L-dopa; this product is standardized to 40% L-dopa, so it provides 120 mg of L-dopa per capsule. D5 Mucuna 40% is intended for use when directed by proper testing under the guidance of a practitioner trained in amino acid therapy. Using improperly balanced amino acids increases the incidence of side effects, decreases the effectiveness of the therapy and can cause or exacerbate neurotransmitter imbalance. 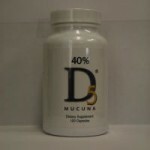 D5 Mucuna 40% contains Mucuna pruriens which contains a natural form of L-dopa; this product is standardized to 40% L-dopa; 1 capsule of D5 Mucuna 40% = 300 mg (or 0.3 grams) of D5 Mucuna 40% Powder. D5 Mucuna 40% is intended for use when directed by proper testing under the guidance of a practitioner trained in amino acid therapy. Using improperly balanced amino acids increases the incidence of side effects, decreases the effectiveness of the therapy and can cause or exacerbate neurotransmitter imbalance. 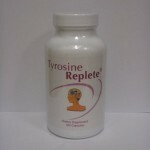 Tyrosine Replete is used to assist in the rebalancing of neurotransmitter levels. Tyrosine Replete is intended to be used primarily with urinary neurotransmitter testing ordered by health professionals trained in the use of amino acid therapy. Use of Tyrosine Replete by itself may lead to depletion of serotonin and depletion of sulfur amino acids. Tyrosine Powder is used to assist in the rebalancing of neurotransmitter levels. Tyrosine Powder is intended to be used primarily with urinary neurotransmitter testing ordered by health professionals trained in the use of amino acid therapy. Use of Tyrosine Powder by itself may lead to depletion of serotonin and depletion of sulfur amino acids. 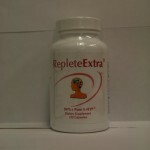 Replete Extra provides additional nutritional support for neurotransmitter disorders and imbalances and may be used in conjunction with NeuroReplete and/or D5 products. This at home urine test allows us to fine tune your amino acid therapy to achieve proper neurotransmitter function. Before taking this test, be sure you have taken the recommended amounts of amino acids for at least 7 days without missing a dose; failure to do so will result in erroneous results. Your results will be sent to you and an appointment will be made to discuss the results with one of our staff. Click here for more information about DBS testing. Sugar (glucose) in the blood can react with proteins and lipids in the body, particularly when blood levels are high. 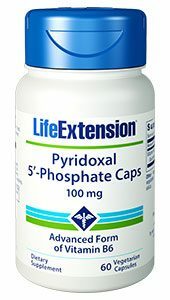 This unwanted reaction causes the formation of AGEs, which accumulate with time and contribute to some of the signs of aging.79,80 By inhibiting AGE formation and working as a coenzyme in chemical reactions, pyridoxal 5’-phosphate can support healthy nerve, eye, cardiovascular and kidney function.